Last week, a publicist trying to score some good PR for Donald Trump’s chief strategist, Steve Bannon, denied working for Bannon. 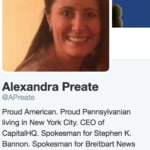 We’ve finally learned who that client is: a PR company founded and led by Alexandra Preate, who says in her Twitter bio that she is a spokesman for Bannon and for Bannon’s former employer, Breitbart News. Sliwa continues to say she does not work for Bannon — because technically speaking, she works for someone who works for Bannon. 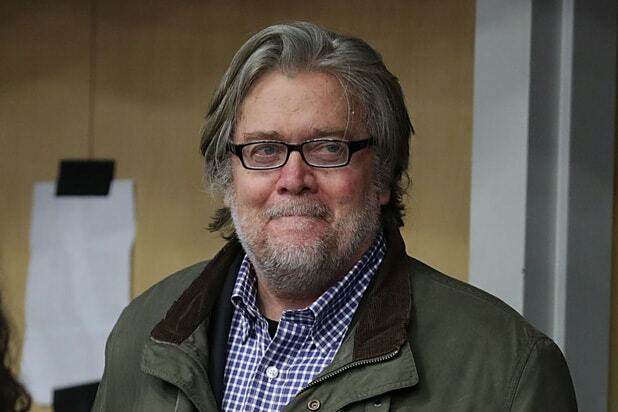 “Steve Bannon is not my client, nor is Breitbart. If they were, I would not be afraid to say so,” she wrote in a Facebook post Saturday, responding to TheWrap’s story last week. Bannon excels at pushing his agenda in the news media in ways that don’t leave his fingerprints, as this Bloomberg story details. He needed a PR boost because of negative stories containing accusations of racism, sexism and anti-Semitism. The signatures of the two emails identify Sliwa as a media contact for reporters interested in interviews, and give her title and contact information at Capital HQ. They do not indicate that Capital HQ is her client. “I have a title with that client, I have a title with other clients,” she said, referring us repeatedly to Capital HQ. A call to Capital HQ was not immediately returned on Monday. Sliwa also complained in her Facebook post that TheWrap’s initial story did not reprint her pitches in their entirety. You can read the pitches here and here. In an interview with The Hollywood Reporter published Friday, Bannon said he is not a white nationalist. “I’m not a white nationalist, I’m a nationalist. I’m an economic nationalist,” he told the entertainment trade publication. 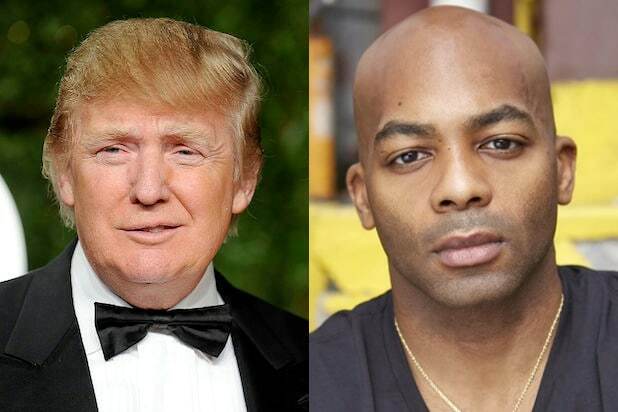 By now you probably know every detail of Donald Trump's fight with the cast of Broadway's "Hamilton" -- but you may not have heard about all the serious stories it overshadowed this weekend. Here are five of them. Trump met last week with three Indian business partners building a Trump-branded complex in that country, which raised conflict-of-interest questions about whether he will separate his business dealings from his new job: being president. A Trump spokeswoman declined to comment on whether Trump and his business partners talked business, the Times said. Trump said the $25 million he agreed to pay to settle a fraud lawsuit against his now-defunct Trump University was only "a small fraction of the potential award" he would have had to pay his he had lost the case. (He also said he would have won.) No other president in history has had to settle a massive fraud case before taking office. Trump took credit Friday for keeping Ford keeping a plant in Louisville, Ky. instead of moving to Mexico -- but Ford had never planned to move it to Mexico or to cut Louisville jobs, the Detroit Free-Press explained. It turned out Trump hasn't actually signed the 1,000 "signed" hats he offered on his Facebook page in exchange for campaign contributions. They were actually signed by a machine, ABC News reported. But never mind all that, because all anyone talked about this weekend was "Hamilton" -- as several Trump critics noted. "Don't let Trump bury his fraud case with this 'Hamilton' noise. This is what he does every damn time. Stop letting him get away with it," said Calvin Stowell, the chief growth officer at Do Something, which urges young people to volunteer for good causes. If you enjoyed this gallery, check out our list of possible 2020 Presidential Candidates, Ranked by Vegas Odds.